In the north-east corner of the city of Concarneau you can find the Plage des Sables Blancs. 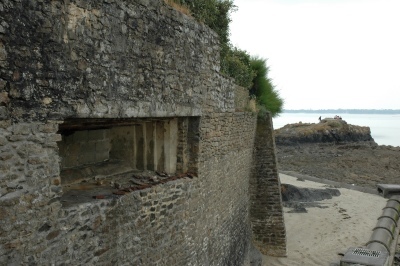 A Mg position covering the beach has been built into a wall. In the background you can recognize a Tobruk.